Registration must be completed by January 16, 2019. 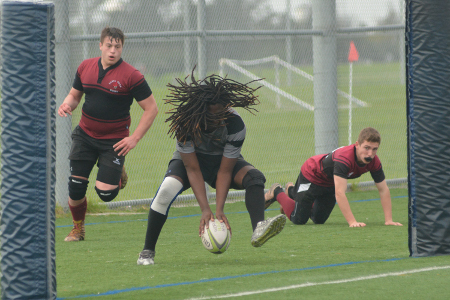 Dues: $300.00 annual membership fee includes Rugby NorCal Association dues, USA Rugby dues, Kick Off Tournament registration, coaching certification and referee fees, equipment and uniforms, field rental, home game meals, Parents Meeting in January, and end-of-year banquet (April or May). For those players show need, we have reduced payment options of $200 and $100 (the latter may be paid out in four monthly insallments of $25). Please contact Rhinos Administration at berkeleyrhinosrugby@gmail.com for information on a reduced fee. Bring Student ID card or a copy to practice. By check made out to "Bay Area Youth Rugby, Inc."